I apologise for the gap in posting my crosswords. Hopefully I will be able to continue from July 2018 onwards. Click on the thumbnail below to view the puzzle. 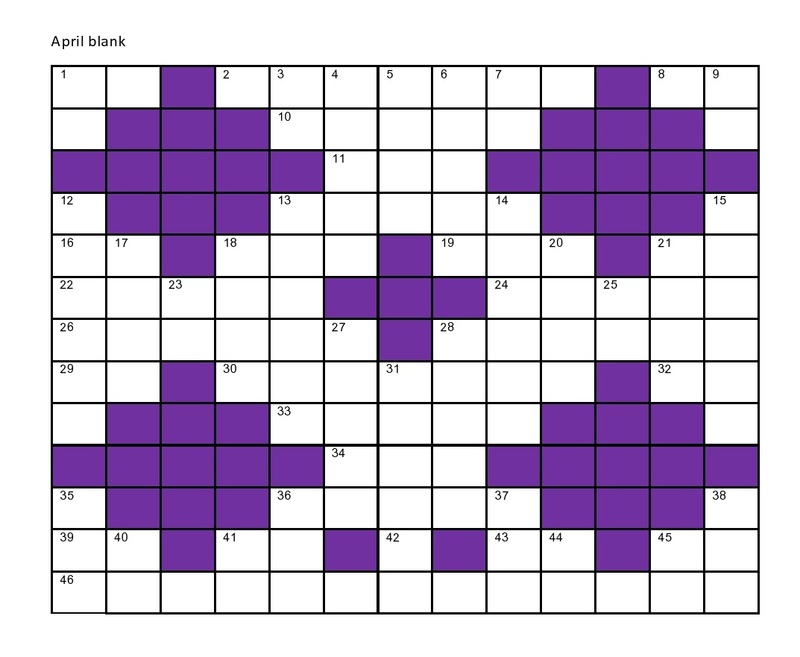 Click on grid to download, or to solve on screen. above, or download April blank and solve the puzzle on your computer. I enter the letters with Arial 20.